Should you still buy from ailing Groupon? Cape Town - E-commerce in South Africa is growing by leaps and bounds, according to Efi Dahan, general manager of PayPal in Israel and Africa. "The main trends we’re seeing are growth in mobile spend due to increased mobile penetration in the country, and an increase in cross border shopping as consumers are looking for a larger variety of products at a better price," said Dahan. "In terms of barriers, people are hoping to decrease the impact of shipping costs, which can be helped by using PayPal products like Refunded Return and Buyer Protection. We also believe that data shows a huge opportunity for South African merchants, as they have the potential to trade all over the world with minimal capital costs." To take advantage, he suggests fine-tuning your online marketplace and mobile shopping website. 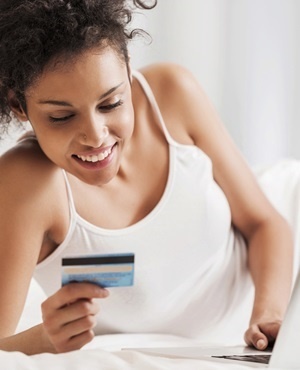 South African online spend is forecasted to grow to over R53bn by 2018. In 2016, 43% of adults in South Africa shopped cross-border. The US is the most popular cross-border online shopping destination for South African online shoppers, followed by China and the UK, according to the PayPal and Ipsos third annual cross-border commerce report. According to the report, online shopping has been slow to take off in South Africa, but in recent years has picked up steam. The research indicated that 58% of online adults in South Africa shopped online over the past 12 months, amounting to an estimated total spend of R37.1bn. The increase in online spending is also forecast to continue, with over half of online adults interviewed (53%) saying they will increase their online spending in the next 12 months, citing convenience of shopping online (cited by 84% of those predicting an increase), planning to save more money (38%) and change in disposable income (36%) as reasons for the expected increase. When it comes to buying products online, the most popular online categories for South African consumers were downloadable digital entertainment and education items (purchased by 53% of online shoppers in the past 12 months), event tickets (47%), and clothing, apparel, or footwear (45%). With high rates of mobile penetration in South Africa, online shoppers are increasingly opting to make purchases on their mobile devices – resulting in an estimated 65% growth in online spend via mobile device (smartphone or tablet) between 2015 and 2016, to reach an estimated R9.5bn, with momentum expected to continue. This provides an immense opportunity for online retailers, as mobile spend is projected to increase by 123% by 2018. In the last 12 months, 43% of cross-border shoppers stated that they shopped cross-border via smartphone while 21% stated they used a tablet for their cross-border purchases. “The South African commerce revolution is well underway and backed by the region’s diverse and truly global population and high mobile penetration rates, consumers are looking internationally to source their favourite products and services,” said Dahan. According to the report, key factors for choosing a preferred payment method for cross-border shopping included security, convenience and trust.